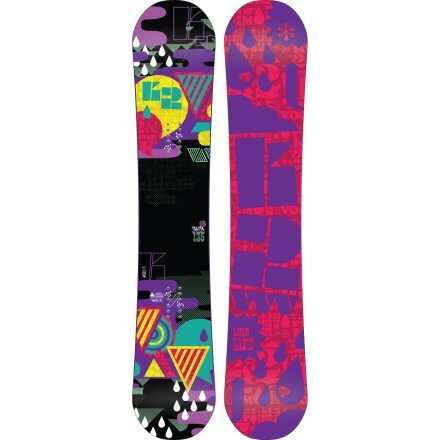 This is a great board for ladies who don't like stiff boards or who are unable to get the full performance out of something that is stiff. And, it is appropriately named the Va Va Voom for freestyle. The V.V.V. impressed me when I tried a friends and it was so easy to play on. I went straight to a store to buy it. Way flexible and fun, it doesn't hold the best edge in chop. However, the more I ride it, the more I don't want to be on anything else. Groomers, park, pipe and tree riding are sick on this board. Powder and ungroomed is not where it performs best, but it still is very rideable.